The walk in, unboxed, purchase price is $365.00 for the 78" Watering Post with frost protection down to 38" below grade. Longer (for areas north of Nebraska) and shorter units (for coastal and southern states) are available. If you have been heating stock tanks during the winter the watering post will probably pay for itself in the first year! Shipped Via FedEx. What is the Watering Post? Imagine going through winter without any changes to your watering routine. No breaking ice! No electricity, propane, solar or any type of heat source required.! No mud holes from stuck float valves.! 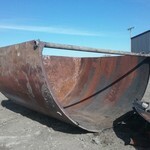 Never topping off the water tanks again.! Fresh warm in the winter and cool in the summer water every time the animal drinks.! Never finding that dead, bloated critter floating around in the livestock tank.! No more moss, sunken tumble weeds or open water for mosquitoes (equine encephalitis) to breed in.! This all adds up to healthier animals and happier people. 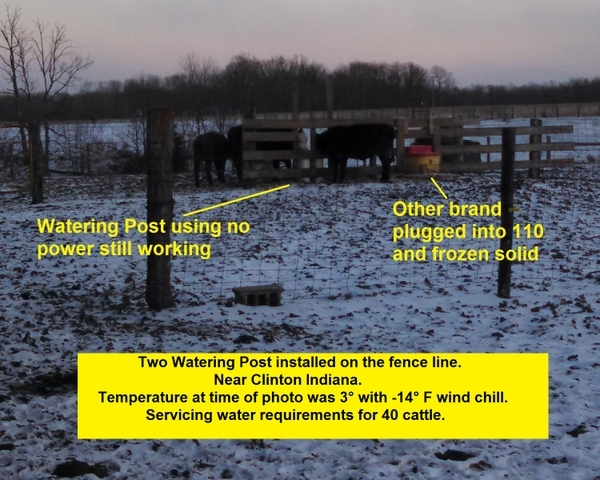 The Watering Post utilizes geo thermal heat in the same way a frost free hydrant does. The water is drained back below the frost line every time the animal stops drinking. The amount of water drained back each time is typically no more than a frost free hydrant, less than 3/4 cup. Similar watering devices, that retain water in insulated tanks, require several animals utilizing the tank to maintain the flow of water and temperature. 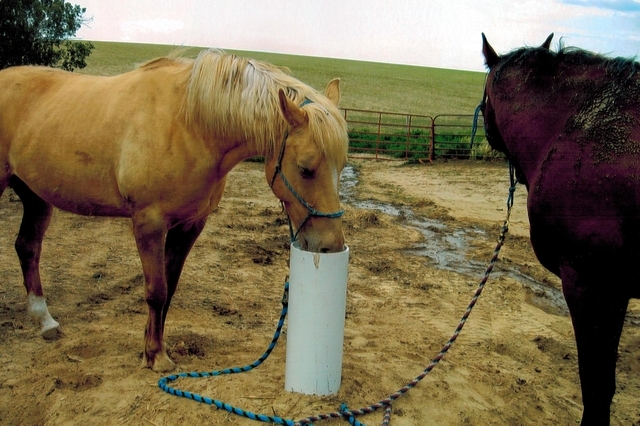 The Watering post will work equally well with just one or two or twenty animals. Built in maintenance valve allows for any maintenance required to be completed in just a couple minutes! Concrete pads not required or recommended. The main post is manufactured using 8” ID 5/16” wall solid core PVC pipe. This is a very durable length of pipe and will stand up to kicks and pawing from livestock. The remainder is manufactured entirely from PVC, Brass, Viton, stainless steel or UV resistant Kydex.. The bowl is vacuum formed using virtually indestructable Kydex that remains pliable and break proof in sub zero conditions. The paddle valve has been laboratory tested to a life cycle of over 900,000 cycles. The Watering Posts have been in the field from coast to coast for 3 years with remarkable reliability and customer satisfaction..!! 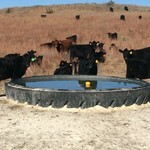 An open stock tank will evaporate around 1/2 inch of water in a 24 hour period during the summer months. 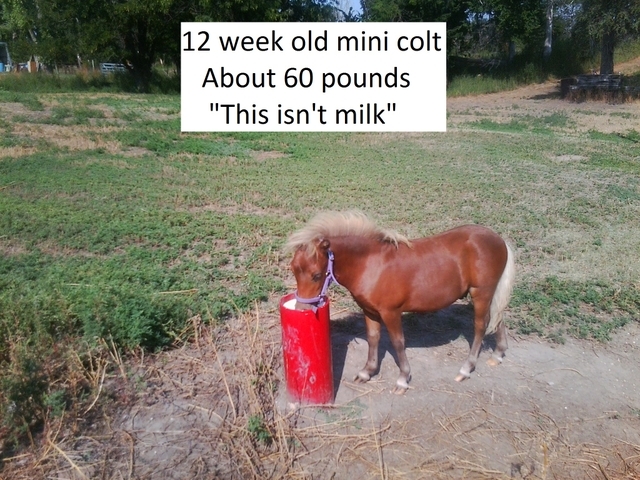 That works out to 7.83 or almost 8 gallons per day on a standard 4 foot round stock tank. Of course it’s no problem to replace the 8 gallons of water every day, which works out to 240 gallons per month, but it is impossible to remove the minerals left behind. When water evaporates only pure H2O is released into the atmosphere leaving behind all the salts and minerals. By the end of the summer the water in the stock tank will become very hard. Hard water is less palatable to the animal so there consumption will be reduced. Hard water can also lead to health problems. The only way to bring the water in the stock tank back to its original softer condition is to completely drain, rinse and refill the stock tank at regular intervals. Of course the rate of evaporation does slow during the winter months but it still continues right up to the point that the tank becomes frozen over. The design of the Watering Post completely eliminates water loss through evaporation. Fact: Water supply in the winter is often overlooked and limited. Fact: During the winter, when your livestock are not consuming fresh green vegetation, their water requirements will increase. Fact: Animals will shy away from stagnant water, or water at temperatures of less than 40° or more than 70°. The Watering Post delivers ground temperature water at @ 50° F year around! Fact: Horses and electricity don't mix. Fact: Your animals performance and general health will decline if not supplied with adequate water requirements. Fact: Disease vectoring animals, possum, skunk etc. will not be attracted to the Watering Post the way they are to open stock tanks. The Watering Post is locally manufactured and guaranteed to work as described when installed as instructed. 90 day satisfaction guarantee return for refund. One year guarantee on parts against manufacturing defects. The Watering Post comes complete, in a box, with everything needed to install except the hole in the ground and a potable water line. No tires, concrete etc. required..!! I just wanted to thank you for all your assistance last week. We finally got our watering post installed on Saturday and absolutely love it, as do our horses. It didn't take our boys too terribly long to figure it out. I did take a short video I could text to you if you'd like of our Peruvian Paso. He struggled a bit to figure where the water came from, but eventually after watching the others he got it. Of course, it's his new favorite toy now.The gentleman who installed it and whom you spoke with (Rooster Boggs), really liked it and said it was the best design he had seen. He's very interested in promoting and installing for some clients here. “Love love love the watering post!!! 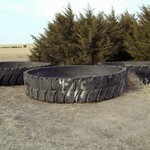 I have it for 7 horses and it is split for three pastures! I'm a Michigander so winters are always a pain pulling frozen hoses in and not to mention the electric bill lets just say... Best Money I ever spent!!! 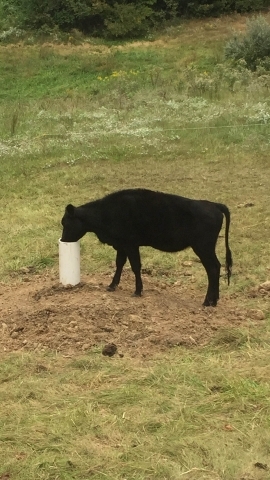 “Hey Larry, I got along great with my watering post this winter, the only thing wrong with it is I didn't put it in years ago. I love not having to deal with ice and dirty tanks and stale water and not running my tanks over, very good product. Winter finally broke here in PA and we are ready to install some more watering posts. A little story from this awful winter we just had. We have frost free hydrants in all the deer pens. We have watering posts in 2 of those pens. We had repeated spells of below zero temps with 20-30 below wind chills. We had 3 of our hydrants freeze so hard that they just finally thawed here in the last month!! THE POSTS DID NOT FREEZE!! Gotta tell you we were very impressed. Because of the way a couple of our pens are set up, Josh was going to put R----ie waterers in those pens, but because of how impressed we were with the posts in the prolonged sub zero weather we have decided to go with all watering posts! “All of the horses took to the watering post like a duck on a June bug, except for the old mare who was scared by the sound of water filling the bowl. She eventually became thirsty enough to drink. The Soil & Water Conservation agent was very impressed with the unit as was the NRCS agent! “So nice to not worry about the horses' water this winter! They are almost maintenance free now, and it's a good thing because I broke my right arm a few weeks back and still not fully recuperated so John is doing all horse care -- and yes he has said several times that the hard work of installing the post is definitely paying off now. 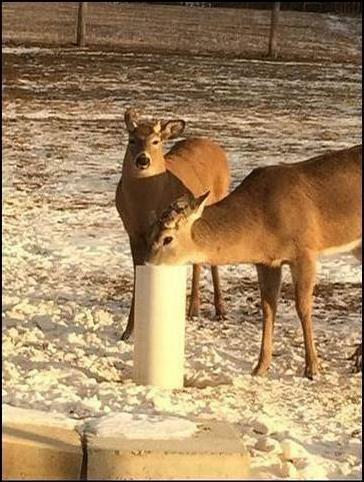 BTW, I love the picture of the deer drinking out of the post! We had a very mild winter so not a huge test on your system. But the winter we did have, the post did great! We just had to build a little shelter around to keep the snow from piling up on it. We can get some nasty snows. 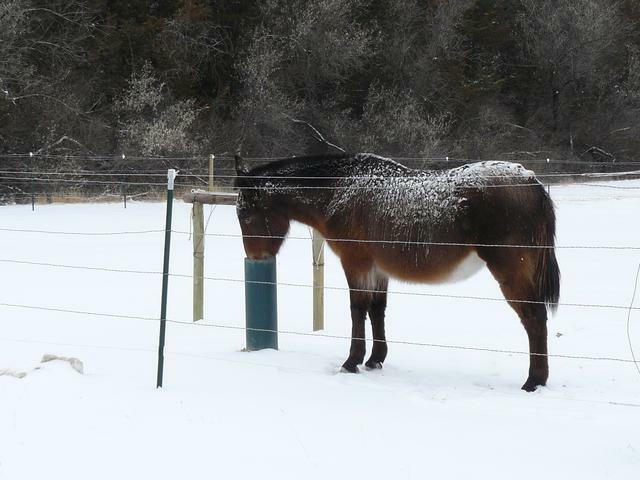 With only one very old horse using it the snow piles faster. We also noticed she drinks way more water now. She hated water left over in her buckets before. She won't drink it if it sits. It had to be fresh fresh fresh for the spoiled smart girl. So she seems healthier because of her constant fresh water. And not dredging through the snow n ice with splashing water going down my boots was awesome!! Thanks !! “We had a few days of sub-zero temperatures (-22) and your watering post did just fine. I have sent a photo of what it looks like at 22 below 0--just a little ice build up from where the cattle spill the water over the edge. If interested, use the "contact seller" link. Please include your E-Mail address so we can return a copy of the installation instructions to you. The instruction manual is a PDF file. 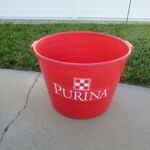 Shipping cost will be around $50.00 but I encourage you to pick the Watering Post up locally so you can see one in use. This listing is for the 78" Watering Post. Good for ground frost penetration down to 38" with 24" above grade. Longer and shorter post available on request. We may be able to provide limited delivery options, free of charge, to the local area. Copy and paste the link below for a video of the Watering Post being used. Pay Pal or checks accepted, Cash preferred!